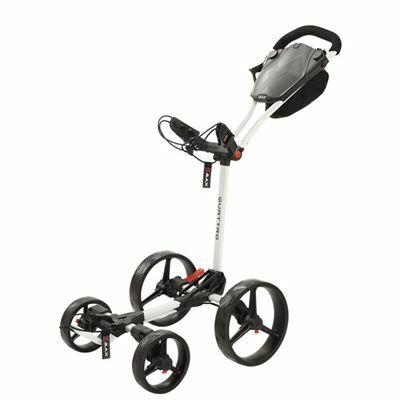 The Big Max Blade Quattro is a lightweight, 4-wheel golf trolley featuring Quick Fold and Flat Fold technologies to let you fold it completely flat in one single, easy hand movement. The trolley offers better stability on steep hillsides and has High Tech smart organizer panel with an ergonomic scorecard holder. 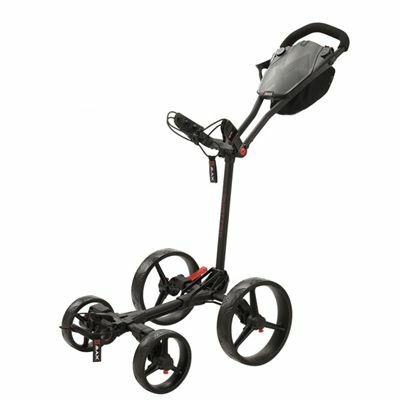 Plus, there is a vertically adjustable handle to fit golfers of different height and the trolley provides great manoeuvrability and one-hand operation for maximum comfort on the go. The wheels are detachable and there is a strong and easy to use foot brake to keep the trolley securely in place. 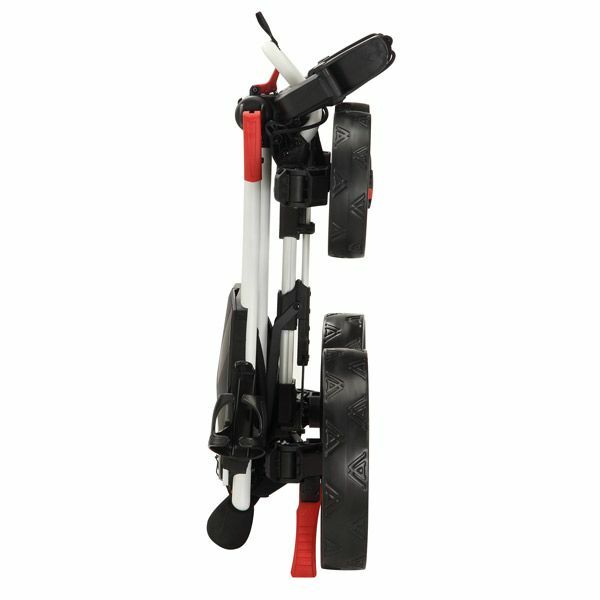 In addition, this robust trolley boasts Quick Fix Pro umbrella holder, Quick Fix GPS/smartphone holder and two Quick Lok handle bases. for submitting product information about Big Max Blade Quattro Golf Trolley We aim to answer all questions within 2-3 days. for submitting product information about Big Max Blade Quattro Golf Trolley. We aim to answer all questions within 2-3 days. If you provided your name and email address, we will email you as soon as the answer is published. for submitting product review about Big Max Blade Quattro Golf Trolley.